Top tips to get organised for school mornings. Back when I was in the trenches of early motherhood, the days with the demanding toddler, emotionally charged with raging emotions, and the tiny baby, the moving to a new country where I knew no one, those trenches, back in those days I used to look at women who had “stopped” having more kids and think to myself – what on earth do you do with your days? I could not imagine my life any farther in the future than the next nappy change or feed, the next nightmare trip to the grocery store alone with the girls, or the next tantrum. It was like living in a haze. Despite the boyfriends pleas that I don’t talk about it [ to the world that is ; he’s been a rock and is a great listener] apparently I am being morbid. I am single handily depressing and boring the blogosphere. I thought I’d go a head and do an update anyway .. on life. Hamster: Todays very special guest is Rachel Hawkins! Rach: Thank you, thank you. H: First up, do you have a pen and paper? H: You’ve broke the show already! R: I knew I would. H: I’d normally ask you to draw something throughout the course of the interview soI can guess what it is at the end. R: Ok I can remedy this. Bear with. H: Clearly you’re a big fan. R: Have I got to draw it now? H: Just whenever and I’ll use my hamstery powers to guess what it is at the end. H: Right, some standard questions first. Blogging – Why do we do it? Quote from Trent Shelton, an American Football player and someone I’m a little envious of. Not for his skills on the field, God no; I wouldn’t have a clue what to do with those, it’s this quote. Every now and then I read a quote and wish I’d thought of it. This is genius in simplicity and has a flawless execution. In life we all have defining moments, experiences or levels of ability that can have a negative impact on us. 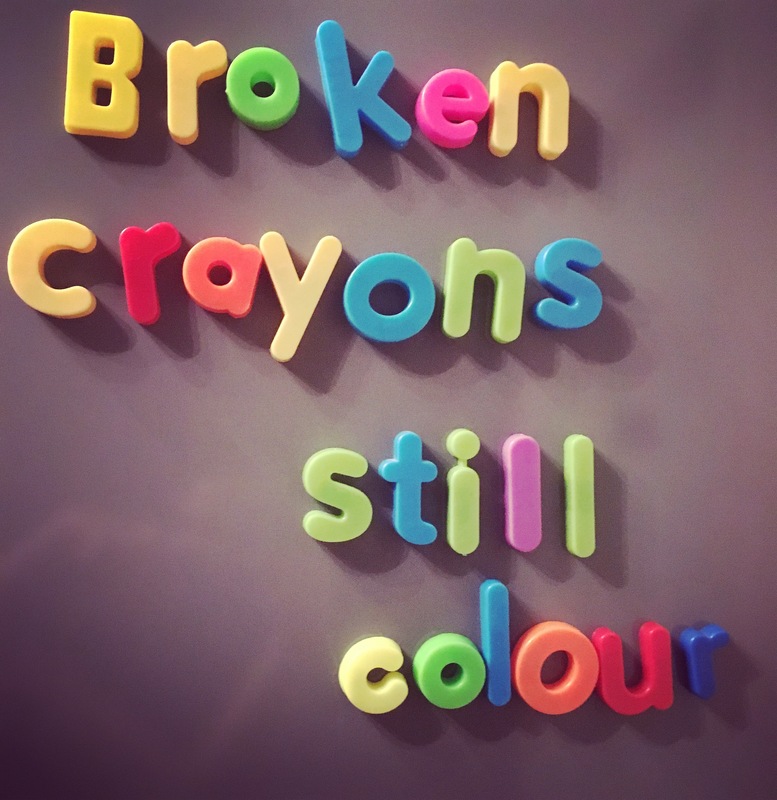 Or we can be a broken crayon; altered by the process but still a crayon of colour and delight. I guess how we handle the events or abilities is our decision and perhaps is more powerful than the event or ability itself.